The rapid climate change that we have all been experiencing lately is also impacting our marine environment. The Coral Watch and Turtle Watch Programs are designed to measure the impacts climate change is having on the coral reefs and sea turtles found in Belize. These programs rely heavily on volunteers to submit reports on their observations so that we can measure impacts of climate change and find ways to adapt. What do Elephants & Sea Turtles have in Common? 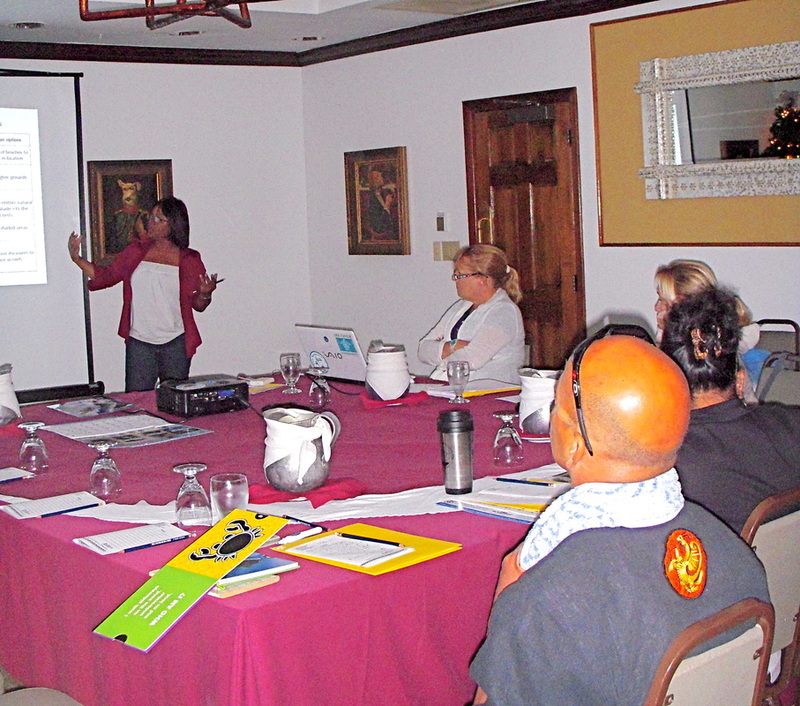 Ms. Nadia Bood from the World Wildlife Fund presented the following presentation at a workshop for tourism industry representatives in Belize on Dec 1, 2011 where we launched our In-Water and Nesting Beach Calendars. Ms Bood's presentation succinctly summaries some of the key climate change impacts on the marine life that we monitor. ECOMAR is reaching out to all stakeholders that rely on our precious marine ecosystems for their livelihoods to get involved and report their observations when they visit the reef each time. It's easy and you can sign up today by Adopting A Reef or Adopting A Beach!